We do like a bit of blue glow, especially from the new Hughes & Kettner Black Spirit 200 amp which has already won a ton of awards from Premier Guitar, Guitar World and Guitarist. The Black Spirit 200 “delivers an explosive ride through musical history, a four-channel eruption of thrilling sounds that gives you the most intense playing experience you’ve ever felt”. 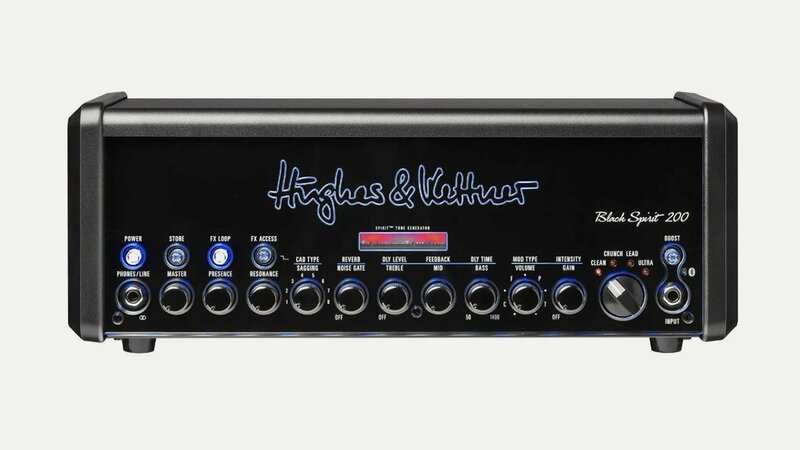 Weighing in at just 8 lbs, with tons of power and Hughes & Kettners’ Spirit Tone Generator technology that faithfully recreates the natural yet wildly complex interactions of traditional tube amp circuits on a digitally controlled but strictly analog working platform. Great for bedrooms and the world’s arenas. Go check one out.